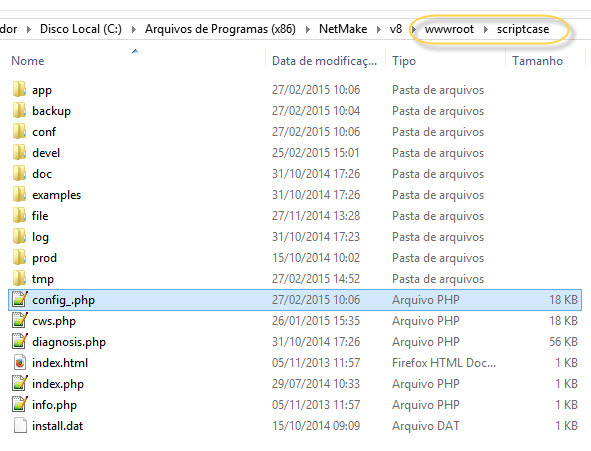 For security reasons, the file config.php was protected to restrict access. 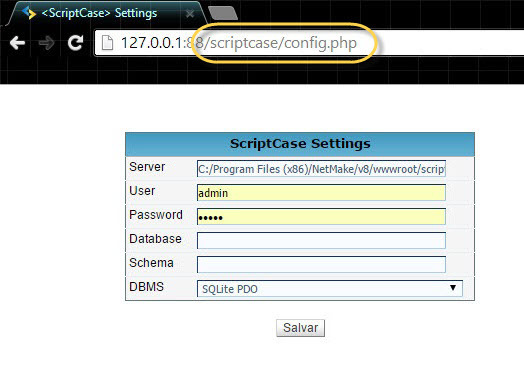 This file is important because it contains the information of the base where the Scriptcase was installed. Was added an underscore ( _ ) before the extension of the file (config_.php), making the access through the browser impractical, until the protection is removed. To access the file with a protection, a blank page appears, prevented a change in the information file. Image 1: File access with protection. To access the information contained in the file, we should remove the protection. Then, you can access the information in the file using the browser. Note: after performing the changes, protect file again to prevent improper access the information.